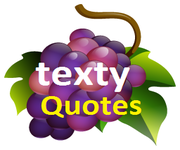 www.textyquotes.com is only available in English. other information in other languages are not available. you should respect other member in our comment area and do not spam here otherwise we can delete your comment. we are not restricted any country and this website available for our worldwide users. if you have any question then you need to contact us we will reply back within 48 hours. the content of this blog is strictly copyrighted by admin, do not copy it without our permission. we have automatic invalid activity detection so who will do invalid activity we will block ip address permanently of them.